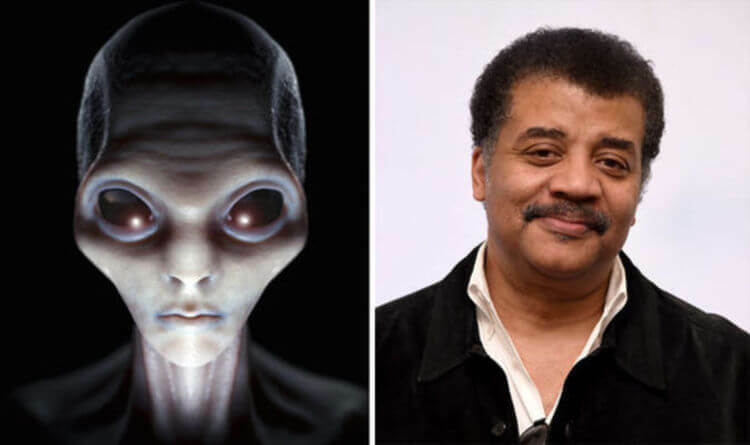 WE are probably not alone in the universe and aliens likely do exist, according to one of the most famous and well respected astrophysicists. World famous Neil deGrasse Tyson says that the chances of us being alone in the universe is small as the ingredients for life are relatively common over a seemingly infinite cosmos. Speaking on C-SPAN’s In Depth, the 58-year old spoke of how life is not as unique as we believe. Dr Tyson said: “We are not likely alone in the universe if you look at how common the ingredients of life is. “Hydrogen, oxygen, nitrogen, carbon; we’re made of this stuff, it’s the foundations of organic chemistry, carbon-based life. “This stuff is everywhere we look in the universe. “Whatever happened on Earth, it’s not likely to be rare or unique. However, he added that microorganisms, rather than advanced aliens, is probably the best bet for finding aliens. Dr Tyson continued: “The universe has been around 14 billion years – plenty of time to evolve all manners of creatures out there, particularly microorganisms. “We have no reason to not think of microorganisms as aliens. They don’t need to have built a spaceship, they’re just alien life on another planet. With that in mind, the astrophysicist says that he does not believe any testimonies which allude to aliens visiting Earth. Will Mars Colonists Evolve Into This New Kind of Human?